Any Day I Get To Read Is A Day Where I Achieved Something Positive! After a Thursday I would rather forget, and a Friday spent at home that I was not happy about, I managed to get motivated and get some things done around my house. Yesterday we had a Winter Storm Warning starting at 11 am and I seriously considered leaving work to beat the storm, since I had to stop and get cat food and milk. Against my better judgment, I stayed for my whole day, and left work at 3pm. By now we had 50 mph winds, white-outs, and as I was cleaning my car off to leave work, my driver’s side wiper broke off my car. Already frozen after 4 minutes outside (wind chills were about -15) I was in the parking lot, cussing up a storm, holding my windshield wiper in my hand. I am in Muskegon. It is a blessing being this close to the lake in the Summer, and a curse in the Winter. I found someone who was able to zip tie it onto the arm, and scared out of my mind, I began my treacherous journey home. I was afraid to leave the wipers running for fear it would break off while I was driving, so I would turn them on when I absolutely could not see anything, which was basically like leaving them on non-stop. I got to the nearest auto parts place about 30 minutes later, and half-way to my home. I bought a new set of wipers, but they could not put them on for me. He really wanted to help me out, but it was against company policy. So by now I am in tears, frustrated, stressed, and angry. I get back in my car and continue my journey heading home, still knowing I have got to stop and get milk and cat food. 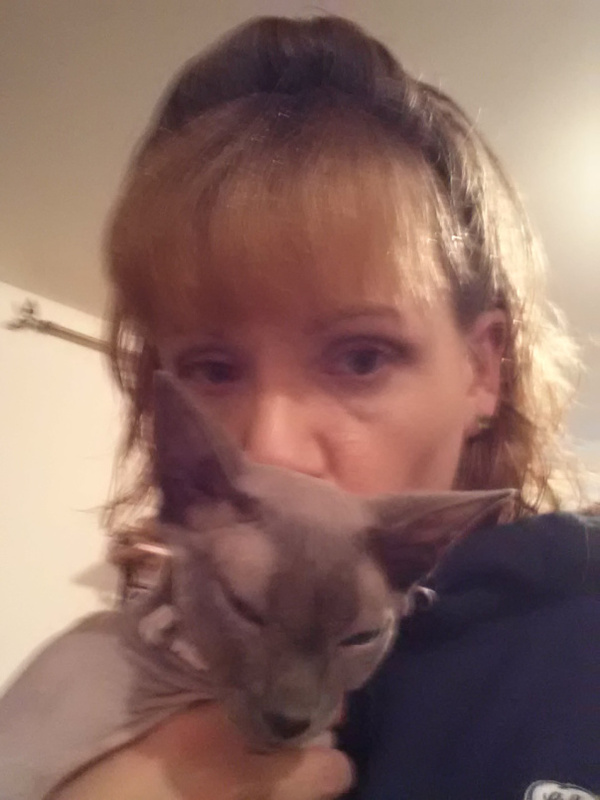 After that horrible journey home, I just needed to hug Benny! After an hour and a half, I made it home. I can get home from work in less than 15 minutes on a warm day. So after only working 4 days in this new year, I had to use a vacation day for today. I would not be able to get my new wipers put on before today, and I was pretty sure my car would be snowed in anyhow (it was). So after avoiding doing anything for the majority of the morning, including getting out of bed, I figured I had better get some use out of the day. 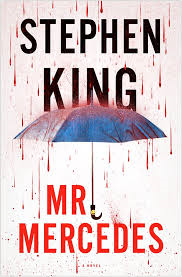 After doing some cleaning and organizing, I was able to finally begin reading Mr. Mercedes, by Stephen King. I am not very far into it, but I am loving it so far. I have read mixed reviews about this story for the past few weeks, but until I get further into it, I will not have a good idea of what I really think about it. So my chores are done; unfortunately for my girls, who have had school closed for the last two days, I cannot say the same 🙂 I am making a big pot of spaghetti and garlic bread, and then I have nothing to do the rest of the night except continuing to read Stephen King! 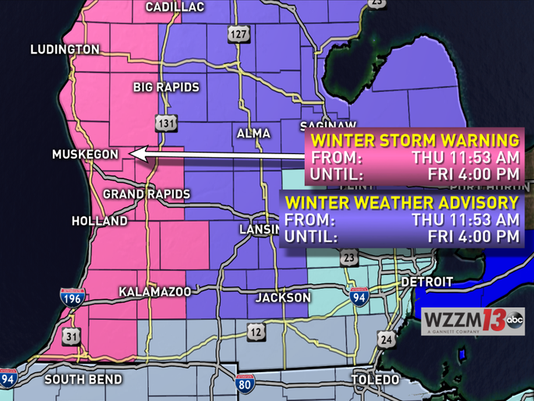 If you are under a Winter Weather Warning yourself, I wish you warmth, comfort, and a great story to keep you busy!